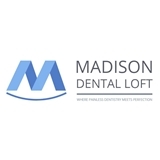 Madison Dental Loft - Dental and Implant Center (New York) - Book Appointment Online! it is always a pleasure going to Doc Kim. Professional and he explains everything going on. The staff are super helpful and friendly too.